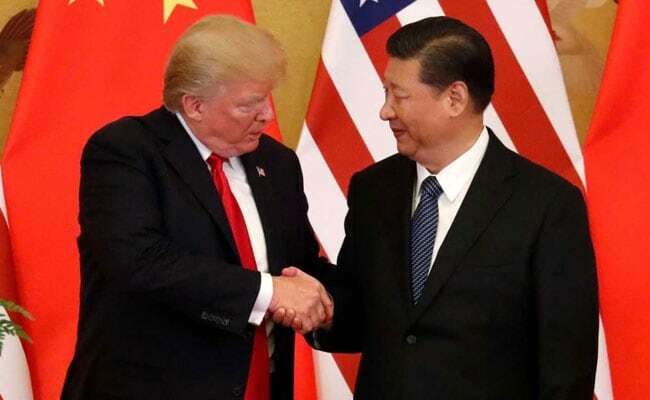 Donald Trump Praises Chinese President Xi Jinping Extending Tenure "For Life"
During the remarks, Trump praised Xi as "a great gentleman" and added: "He's the most powerful (Chinese) president in a hundred years." U.S. Representative Ro Khanna, a Democrat, said on Twitter that "whether this was a joke or not, talking about being President for life like Xi Jinping is the most unAmerican sentiment expressed by an American President. George Washington would roll over in his grave." China's annual parliament gathering kicks off on Monday as Xi presses ahead with efforts to ward off financial risks without undermining the economy. The Communist party announced on Feb 25 the end of the two-term limit for the president - and the parliament is expected to ratify the move. Trump has often praised Xi, but in January Trump told Reuters the United States was considering a big "fine" as part of a probe into China's alleged theft of intellectual property. He has been critical of China's trade policies. Trump told The New York Times in December that because of North Korea he had "been soft on China because the only thing more important to me than trade is war."